Popcorn. What a wonderful snack it is. Concise. You can season it. You can cover it with chocolate. Or just eat it the way I do which is plain with some salt. There are different ways to enjoy popcorn depending on your mood and how much effort you want to go through. I have my favorite way which I will share with you below. Stay tuned to what I think is the best way. Ahhh! The microwave. Great for reheating some leftover pizza or making some ramen noodles really fast. You can also use the microwave to make popcorn. Growing up, this was one of the only ways we had it. When I was super young, we had jiffy pop which you had to make on the stove using one of the burners. While it is quick and easy, I don’t eat much microwave popcorn anymore. Not putting anyone down who does, if I was at a friends house and they offered it to me, I would graciously eat it and say thank you. To those that do, what brand is your favorite? What flavor do you like the most? How much do you eat in a week? Okay. Probably the easiest way to eat popcorn and the least amount of work. All you have to do is open the bag! How easy is that? Now there are different flavors of bagged popcorn as well. 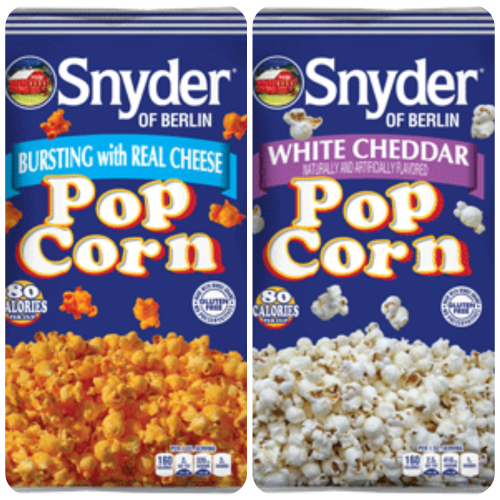 Now one of my favorites is the Cheese Popcorn from Snyder of Berlin. Now I know I can get these here in the Northeast Ohio area, but not sure what the availability would be in yours. Good news though, you can order them online using the link above. You can also just buy bulk bags of popped popcorn as well. This is great for when you are having an extended family movie night and want everyone to have some to enjoy. Do you have a favorite brand and flavor? Be sure to share it with me and others below, I would love to know what everyone else likes. Now we are talking! Making movie style popcorn at home! We have our own here at home and simply love it. We received it as an anniversary gift some years ago. We use little packets that contain the popcorn and the salt & butter mix that goes in the stir pan. Just like the one pictured below. It’s easy and only takes minutes to do. We love how we can make it anytime we want except if you run out of packets, which we never let happen. I know everyone can’t afford one like we have. There are some other alternatives that do the same job but might not make as much popcorn each time. If you don’t mind making multiple batches, then check out some of the ones I have shared below as well. Do you get popcorn everytime you go to the movie? What size do you normally buy? So now that I have your mind going on all things popcorn, what are you going to do next? Why not share with me what kind of popcorn you like in a comment below. 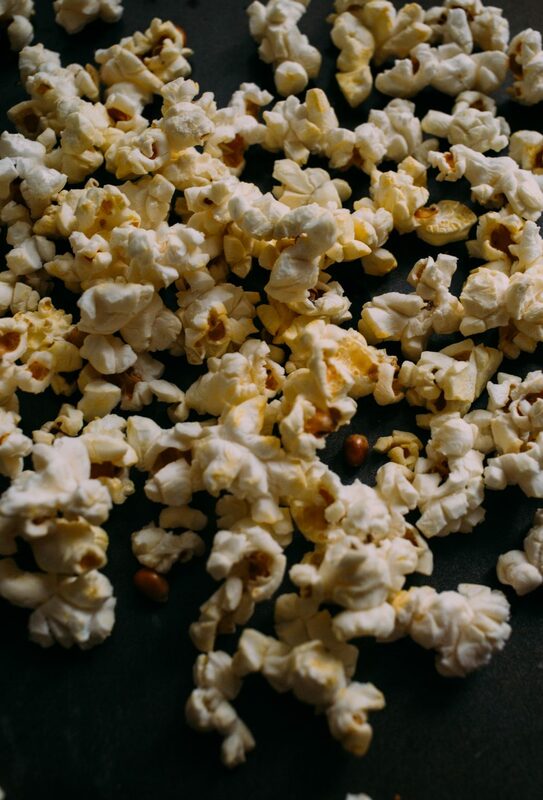 Also, remember to share this article on social media if you can, or share it with a friend who might love popcorn as much as you do! We love extra butter popcorn and I sometimes like a flavored one but mostly buttered. I do love pop corn but unfortunately, I can’t have it….sad. Yum! I love popping kernels on the stove and flavoring with butter or ranch flavor! 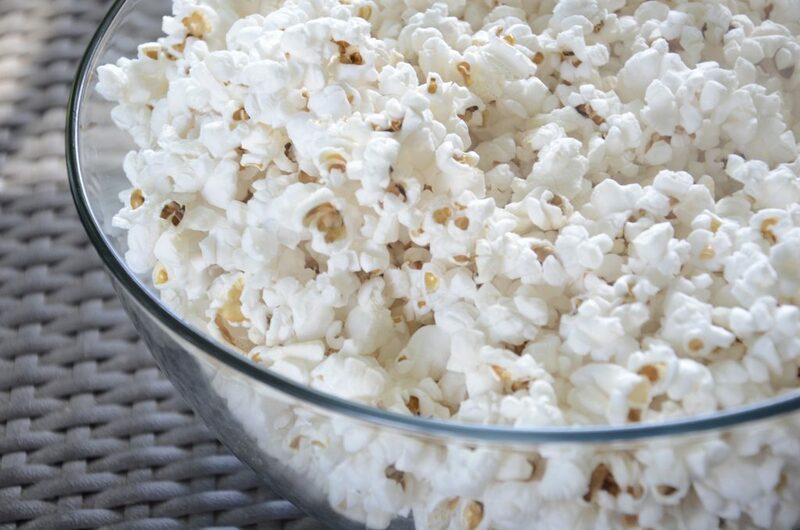 We love popcorn, we have it every movie night in every different variety possible! I love white cheddar popcorn, but sea salt popcorn is also delicious. I use an air popper, the microwave and my iron skillet , depending on how much time I have to make it. I pop mine on top of the stove with coconut oil. I will save this recipe for Christmas gifts! Thanks! I love movie theater microwavable popcorn with tons of butter and salt on it. I’ve never tried popping my own popcorn! I love cooking kernels in a cast iron skillet. My fav kind of popcorn is White cheddar pop corn. It does com already popped and I enjoy it a lot. It is a great snack when you are counting calories and we all love it for movie night! I like movie popcorn the most, but I don’t get it that often because it’s crazy fattening and overpriced. I love popcorn! I microwave my own in a paperbag, 1 teaspoon of oil and 1/2 cup of popcorn. So good! I like popcorn from home, but nothing beats movie theater popcorn. Complete buttery goodness! I pop my popcorn in olive oil & butter. It’s so yummy!!! I love popcorn we make it every night with coconut oil and pink Himalayan salt and it just taste so good with an ice cold glass of milk and a little netflix. I have an air popper that is wonderful. I do tend to negate the benefits of air popping by putting lots of melted butter on it. I’d love to try a popcorn machine. Right now trying to find a good brand to do on the stove that doesn’t have a lot of kernal parts .. plus a good butter flavor oil so I don’t have to pour on the butter! Love using my whirley pop, so good! My family eats so much popcorn. We’ve made it many different ways, the microwave style is easy, but I like to use my stove top popper best. I love all popcorn! How can I pick just one? Cheese, buttery, caramel… Oh yummy! MMM, Popcorn, so many different varieties/flavors, just can’t get enough of it. I love popcorn! A great yummy and healthy snack! My kids go nuts for it. I love stove popped popcorn. After finding out the microwave packages were not safe or even healthy I started popping my own on top of the stove. Each time I do this it reminds me of times I spent with my Grandpa as he popped popcorn for me when we watched Hee Haw on television as I was growing up. I love popcorn, especially with butter and salt. But it doesn’t seem to like me anymore. So we don’t eat it anymore. Popcorn is one of my favorite snacks. The taste is delicious and it is low in calories. Every Super Bowl party at our house, I popcorn and people rush to the kitchen when the smell hits the air. All this talk about popcorn, and now I have to make it tonight. I got a nice air popper, a Cuisinart, with an on-off switch, and very sturdy. It is so nice. I remember Jiffy-Pop from when we were kids. My mom used to make big batches from scratch and we’d have it eating out of paper bags. I don’t like microwave popcorn, and most of them aren’t that good for you. 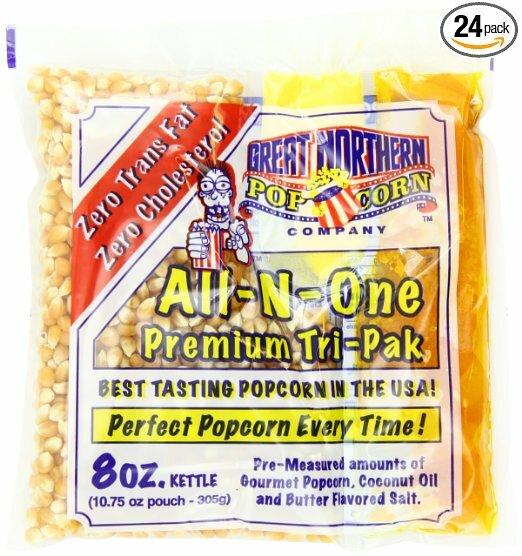 The best kernels I’ve gotten are from Bob’s Red Mill – they pop into really large popcorn and they all pop. i love popcorn its such a light snack and healthy too. my kids love different flavors in it. I love popcorn but hate picking and digging the hulls out of my teeth for the next week. Movie popcorn is so amazing and I wish someone would make an essential oil so my house could smell like it all the time. I LOVE popcorn. We make it with an air popper at our house. Can’t have a proper movie night without it! Funky Chunky makes THE BEST dark chocolate and salted caramel popcorn! A little expensive but so worth the splurge!